How Family Mealtimes Can Be More Than Just Eating! Sometimes the simplest everyday activities have the most potential for building your family culture. Gail and I feel that a family eating together is one of those vital activities. 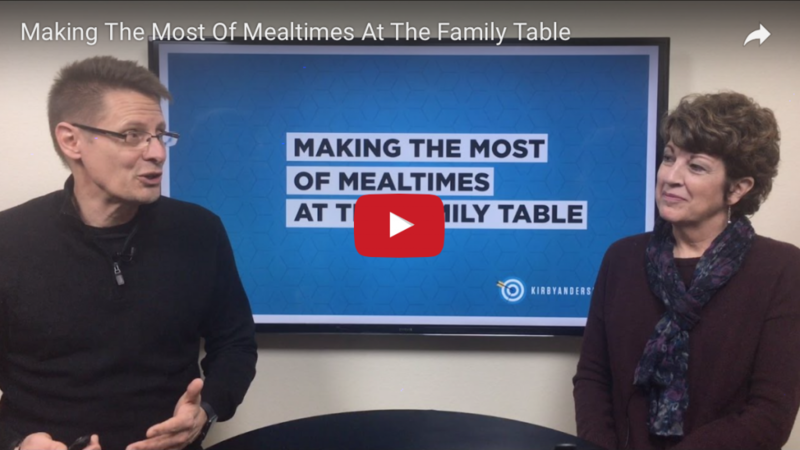 That’s why we’ve tagged teamed this week in this week’s video, Making The Most Of Mealtimes At The Family Table. Every family eats—yet not all families eat together. And not every family knows how to leverage their time around the family table to go beyond just eating. Gail and I share a few of our recommendations for doing just that in this updated video and blog post. Try to eat together as a family at least one meal a day this week. Don’t underestimate this time together!